Thanksgiving is one of my favorite holidays of the year! Spending time with family is such a gift and we always leave with full tummies. Celebrating the season with our framily, friends that we've chosen as family, is also important to us. 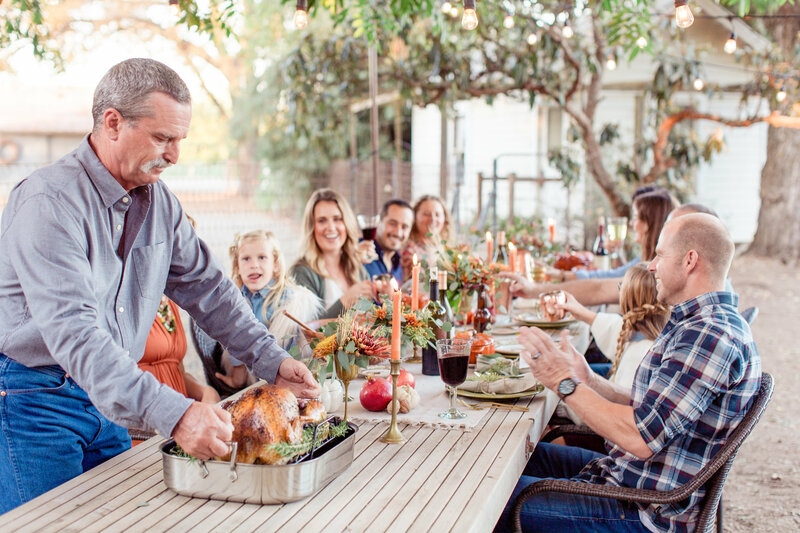 In our friend group, we love getting together to celebrate another year of friendship with our growing families and delicious food. This all started back in college when my flight home for Thanksgiving was cancelled. My friends decided to host a mini feast for me using whatever food we could find around our residence hall. We've continued the tradition ever since and I must say the food has improved drastically from our dorm room microwave days. 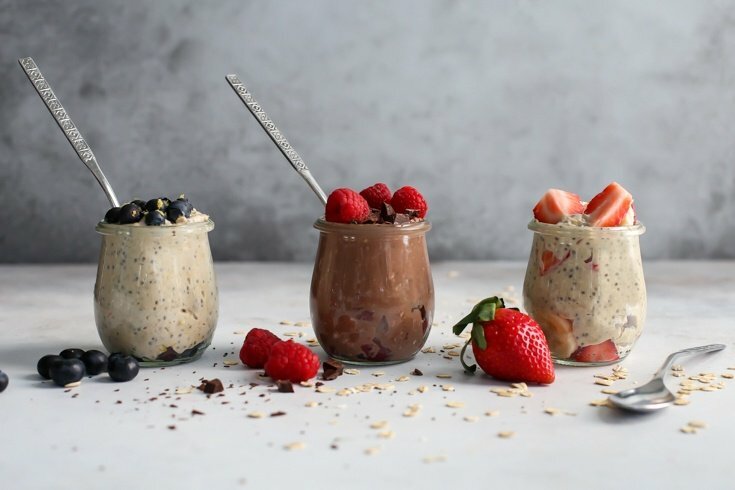 As a berry fanatic, I love adding fiber filled blueberries, blackberries and raspberries into holiday treats to help our digestive systems combat the inevitable overeating. I changed around our Friendsgiving menu this year to incorporate some of my favorite berries and everyone LOVED the meal. There was nothing left! We even ate the whole turkey. I have to humble brag here - this sweet potato casserole was incredible. The sweetness of the potatoes and the tartness of the blueberries came together in one irresistible side-dish. Not to toot my own horn, but it was one of the first dishes to be scraped clean. 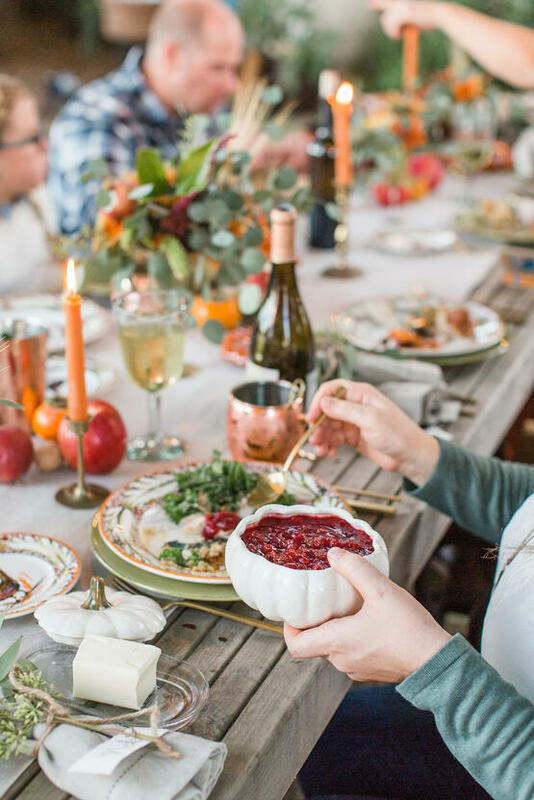 We love celebrating Friendsgiving with great friends and delicious berry filled treats! 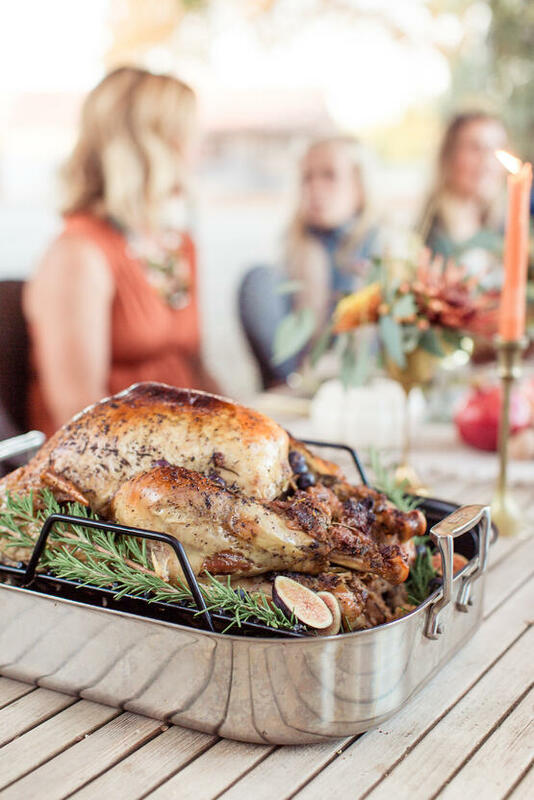 With Friendsgiving around the corner, how will you celebrate this friendtastic holiday? 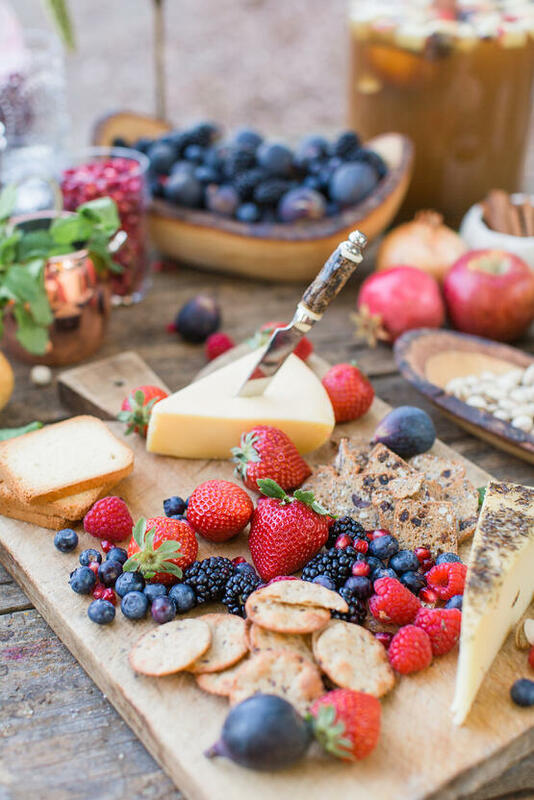 Start your Friendsgiving feast with a platter or fresh, plump berries and cheese. 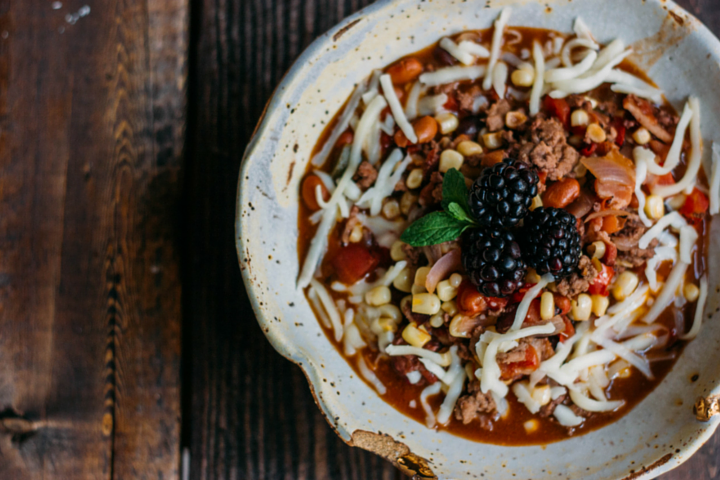 Our favorite pairings that are creamy and full of flavor are brie and gouda! 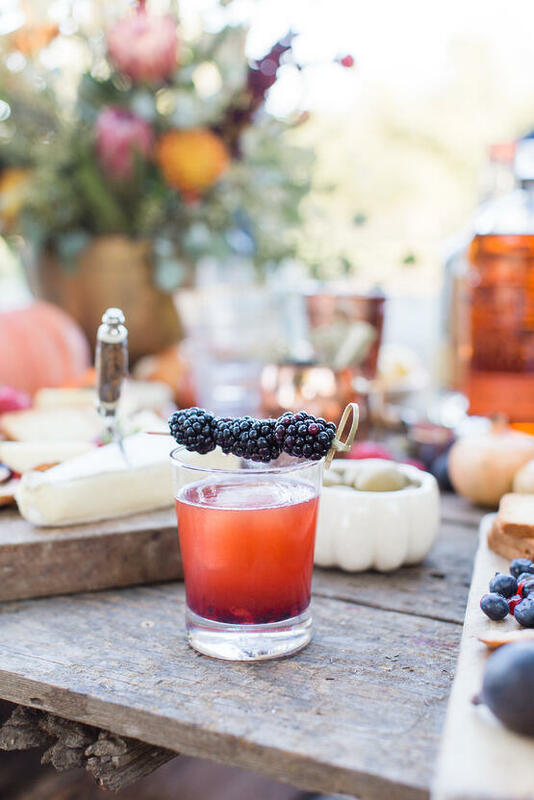 Add fall flavors to a classic whiskey sour with muddled berries and crisp, fresh apple juice. 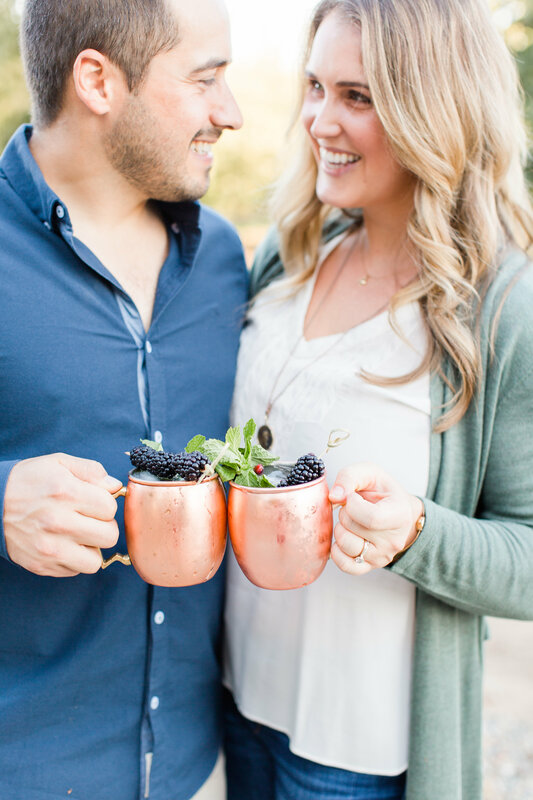 This drink is perfect for warming your tummy on a cool fall day! 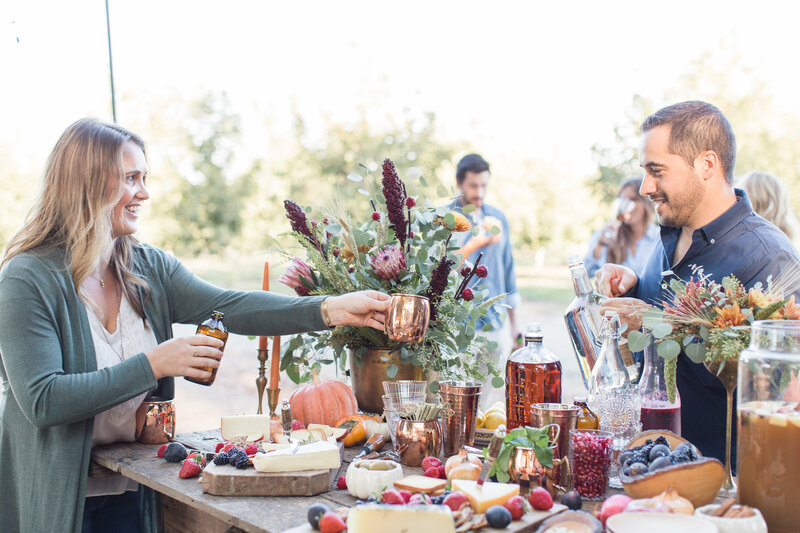 Moscow mules are a favorite at dinner parties, and these copper mugs are a beautiful addition to any holiday spread. The pomegranate seeds are a burst of flavor in each sip! The star of every Thanksgiving is the turkey, and this turkey doesn't dissapoint. 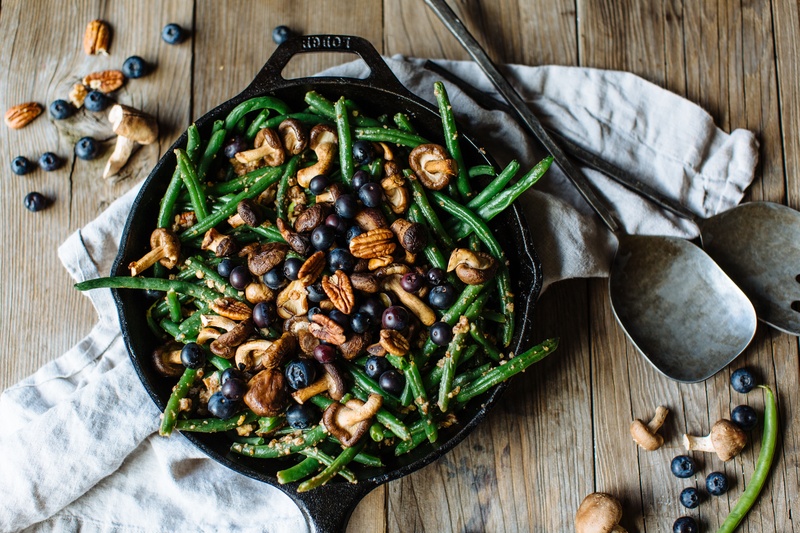 Fall figs and sweet balsamic pair perfectly with fresh blueberries in this gourmet glaze. Cranberry sauce is a favorite in our household. Save the leftovers and add to a sweet and savory turkey sandwich! Sweet potato casserole just got even tastier. 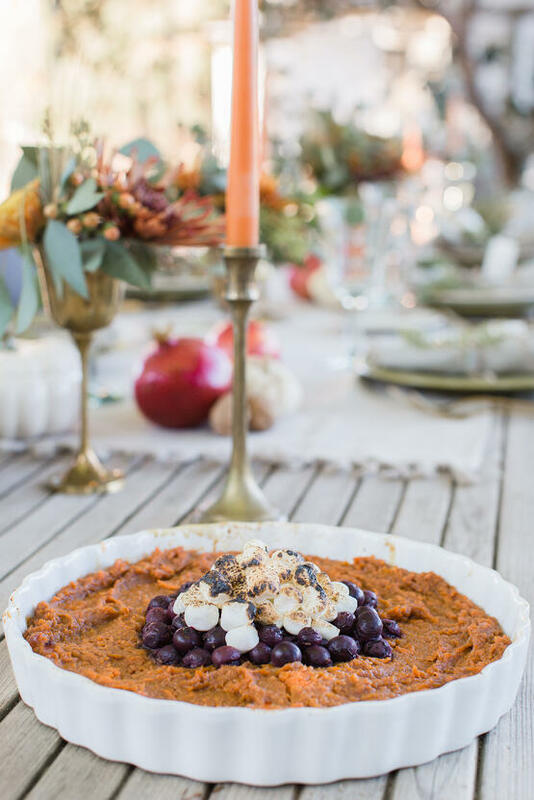 Creamy sweet potato mash, bursting blueberries, and crisp toasted marshmallows are the perfect side-dish for every Thanksgiving feast. 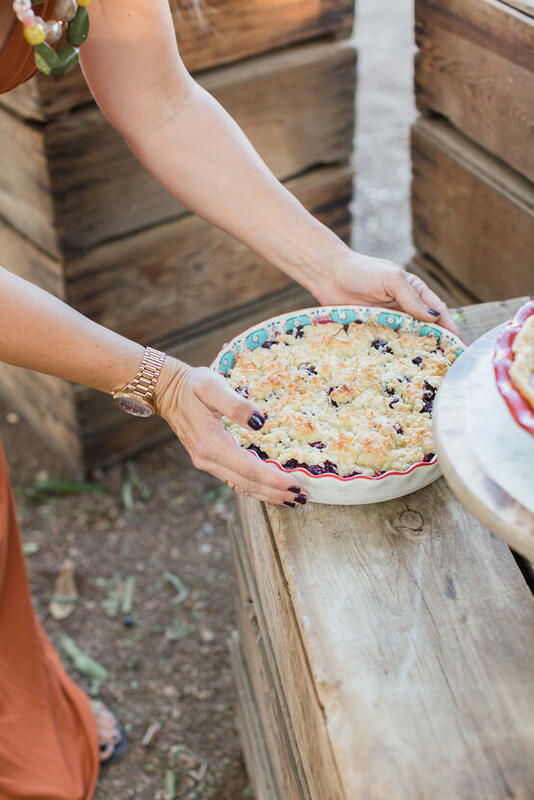 This comforting cobbler is the sweetest way to finish off a decadent turkey dinner. 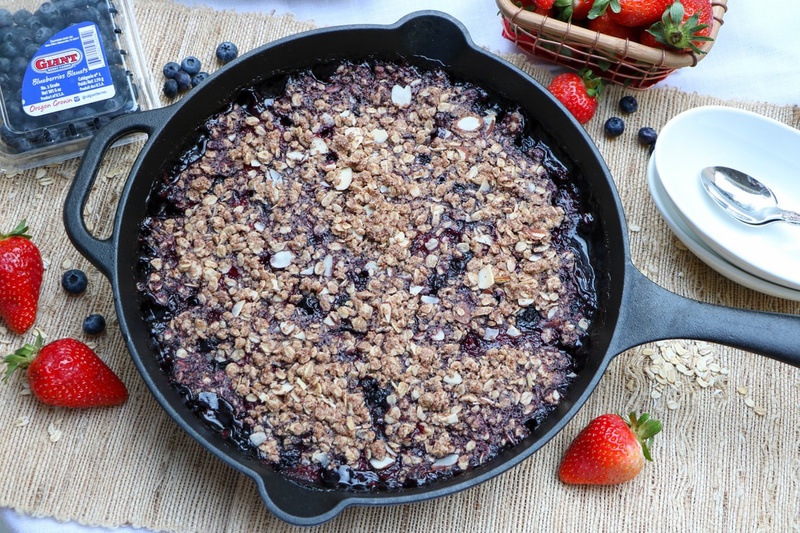 Our friends couldn't get enough of the bubbling, syrupy berries hidden underneath a crispy crumble topping. This stunning dessert is almost too beautiful too dig into - almost! 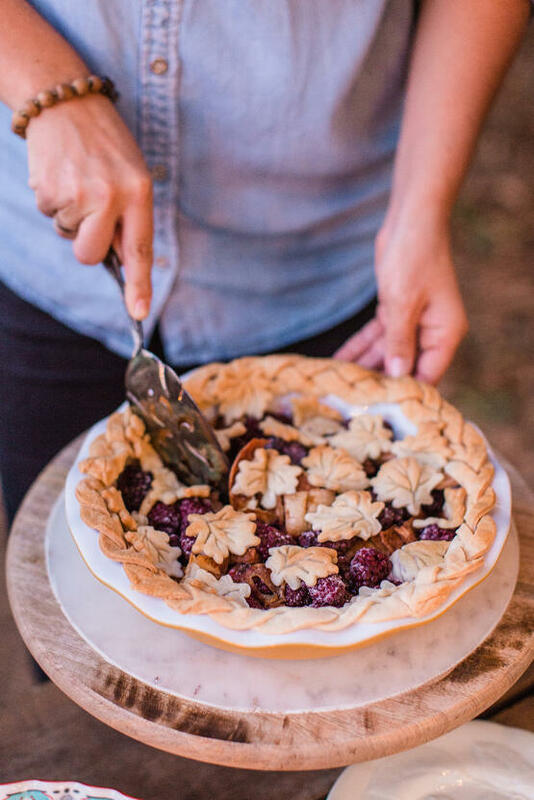 Share a slice of fall with fresh berries, apple slices, and cinnamon and nutmeg spices.